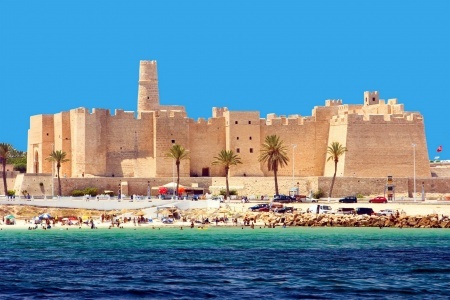 Djerba (Jerba), or The Island of Dreams, is known for its beaches and whitewashed desert towns influenced by Berber, Arab, Jewish and African cultures. Houmt El Souk is the main city, known for its handicraft markets, fishing port and 16th-century fortress, Borj el Kebir. 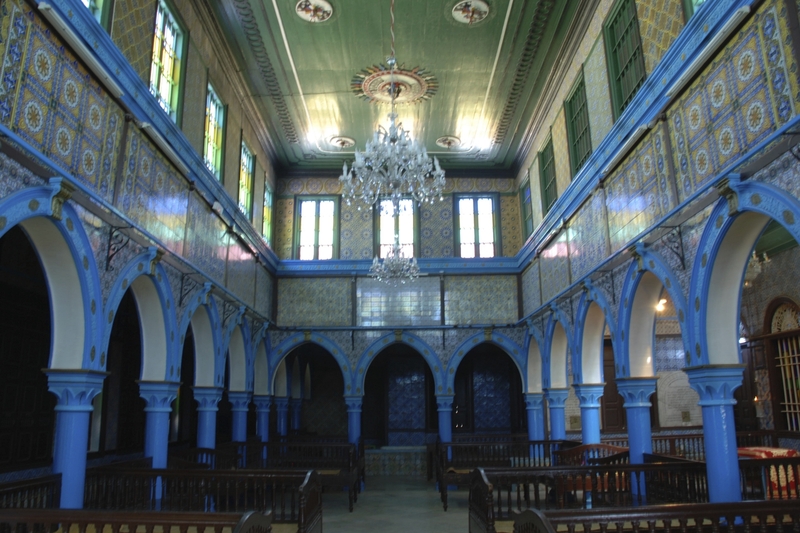 To the south is El Ghriba synagogue, a pilgrimage site for North African Jews. 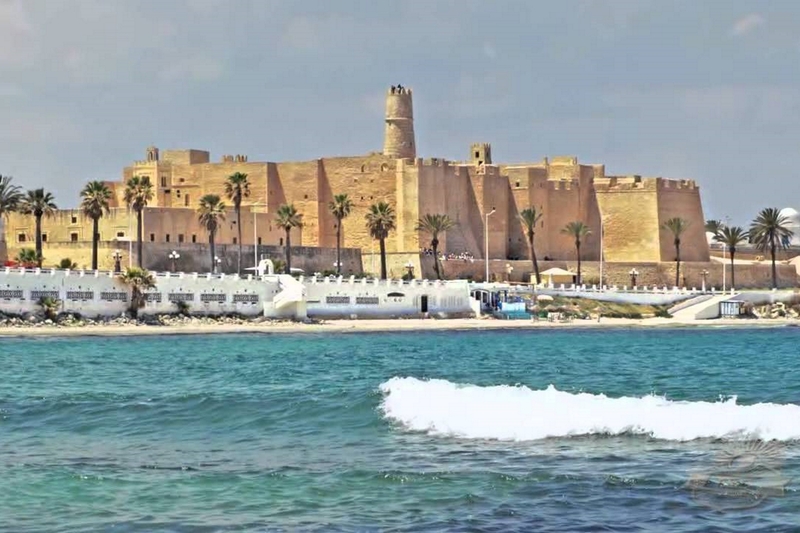 In ancient times it was an important Phoenician trading center. 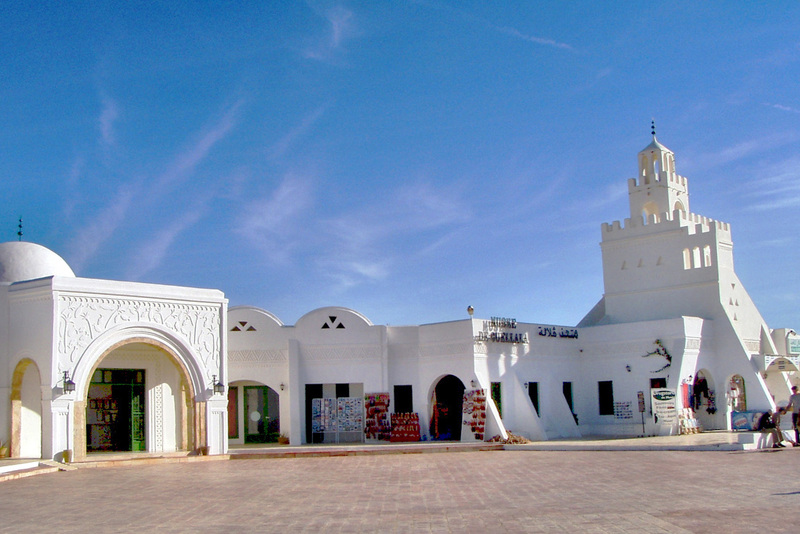 Houmt El Souk meaning literally: "The Market neighborhood", is a commune and the main town of the island of Djerba, Tunisia. A popular tourist destination, it is best known for its traditional souk (market) and the Aghlabid fortress. It is located at approximately 20 km (12 miles) from Ajim and 22 km (14 miles) from El Kantara by the Roman road. 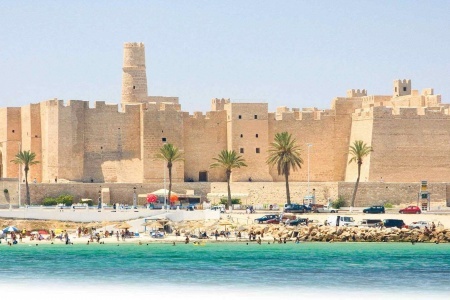 It is also the chief town and a municipality with 75,904 inhabitants. 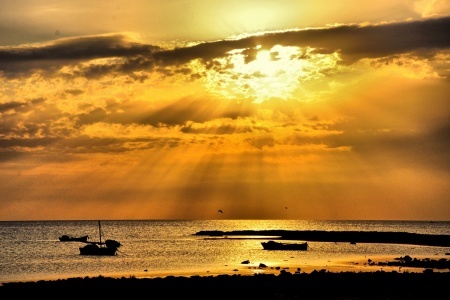 The city itself shelters a population of 44,555 inhabitants as of 2005. 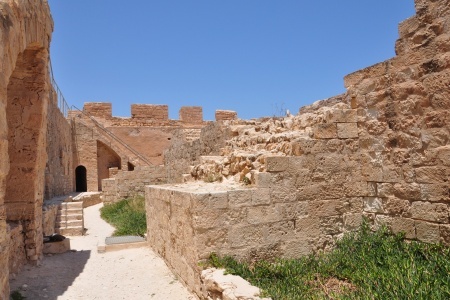 The city developed on the old site of a Roman city called Gerba or Girba which had the honor of giving birth to two Roman Emperors, Trebonianus Gallus and his son Volusianus. This interesting little folk museum is housed in the beautiful 18th century Zaouia of Sidi Zitouni with its impressive stalactite-designed ceilings. 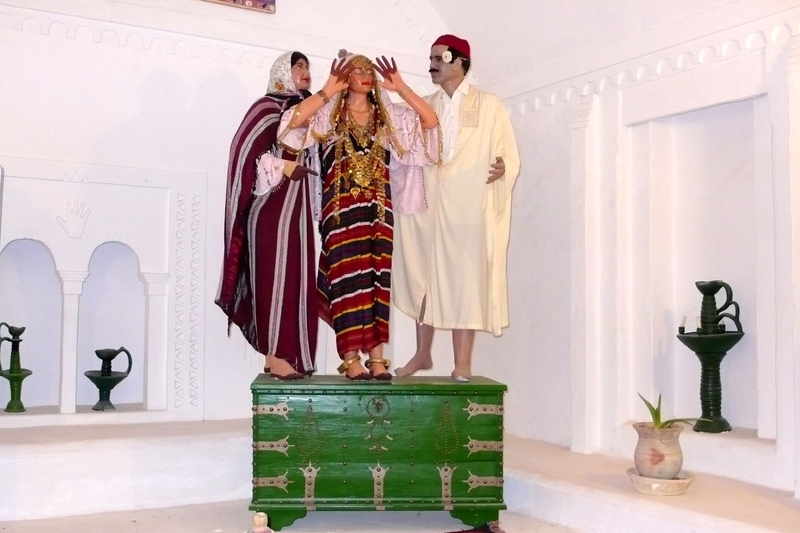 The former prayer hall is now given over to displays of vibrant traditional costumes. 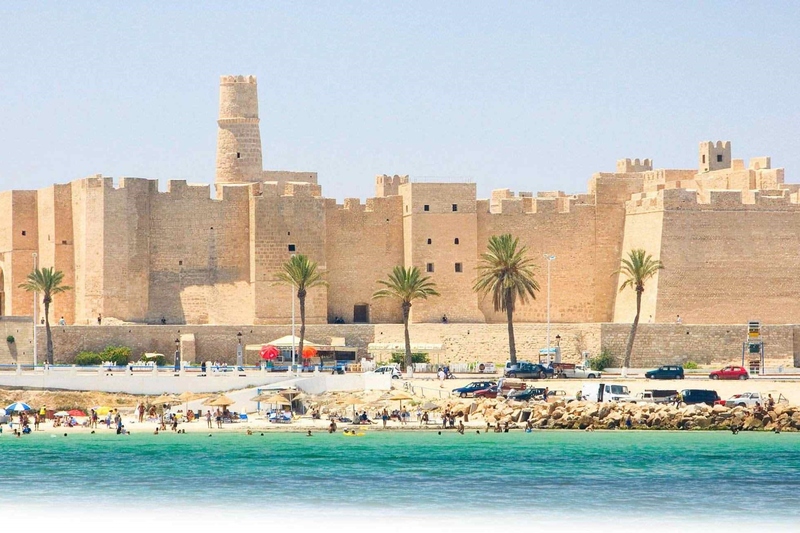 Culture-lovers shouldn't miss a visit here to dig a little deeper under Djerba's resort skin. 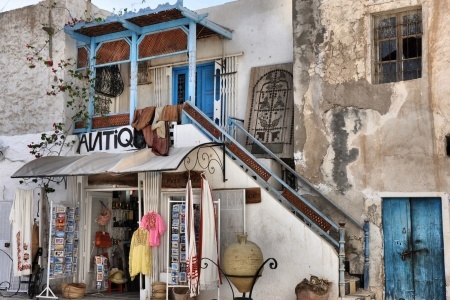 Exhibits explore and preserve the island's cultural traditions, with delicately beautiful old jewellery, ceramics and traditional wedding chests on display. One small room is devoted to old editions of the Qur'an. A fort has looked out over Houmt Souk's harbour since the 13th century. 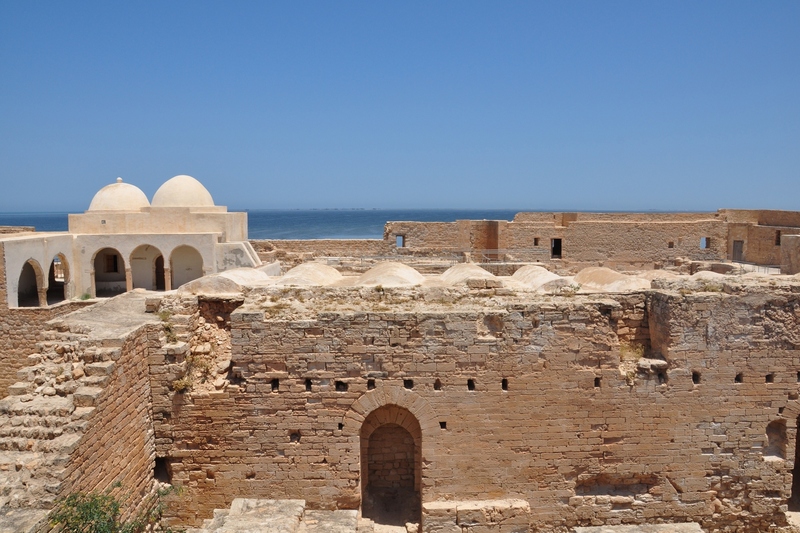 The original building was strengthened in the 15th century, but later replaced in the 16th century when the notorious corsair Dragut built the massive Bordj el Kabir fortress here to look out over the bay. Extensive restoration work has been carried out on the building since the 1960s to preserve it. 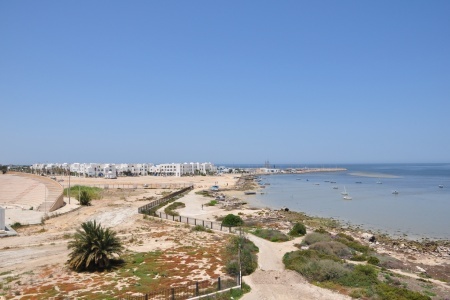 If you walk up here there are fine views across Houmt Souk's harbour. 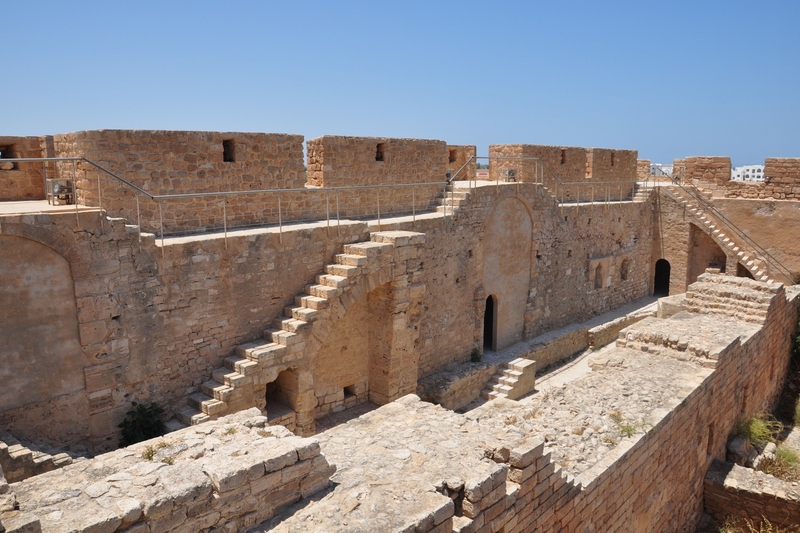 Between the fort and the harbour you can see a small obelisk commemorating the pyramid of skulls, which Dragut erected here. 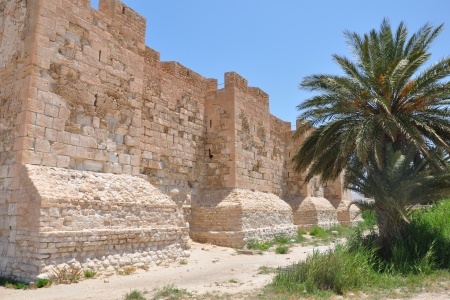 The El Ghriba synagogue is located in the formerly Jewish village of Harah Sghira, also known as Harah Srira (the "small village”, in Arabic) (currently called Er-Riadh) on the Island of Djerba. 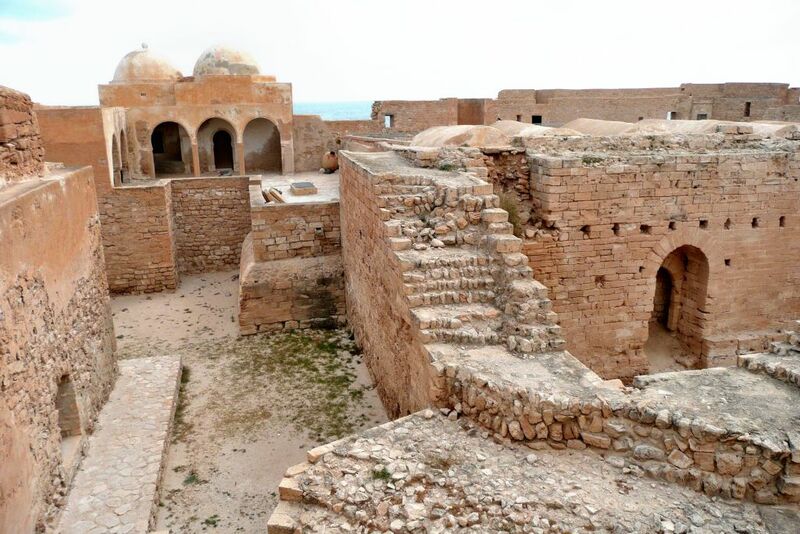 It is the most famous and venerated of the twenty synagogues and prayer houses that used to function in the three Jewish villages on Djerba at the height of the Jewish community in the early 1950’s. In Harah Srira alone there are five additional prayer houses, called yeshivot, however, the Torah scrolls have been kept exclusively in El Ghriba, following a decision taken by the local rabbis at the end of the 19th century in order to maintain the prominence of the El Ghriba synagogue. The entire community of Harah Srira meets in El Ghriba on Shabbat, the synagogue being kept in high regard by all the Jews of Djerba. 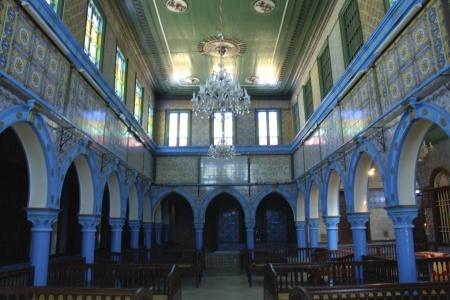 The name "El Ghriba” means "the marvelous”, or "the strange”, in Arabic, and reflects the special status of the synagogue in the traditions of the Jews of Tunisia. Surrounded by fruit orchards and date-palm groves, Midoun is Djerba's largest market town. 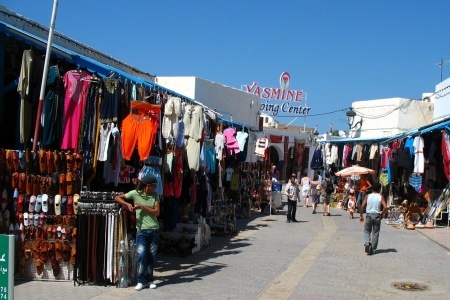 If they're on the island at this time, all visitors should try to catch the buzzing Friday market. 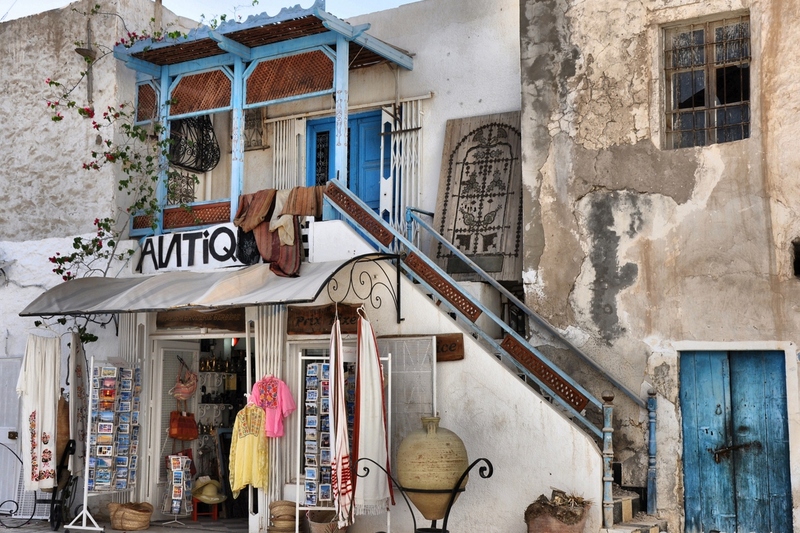 The old Medina area is full of gorgeous buildings, skinny alleyways and high walls with crumbling whitewash detail. The population of the village includes many descendants of slaves, who were originally brought here from Sudan. 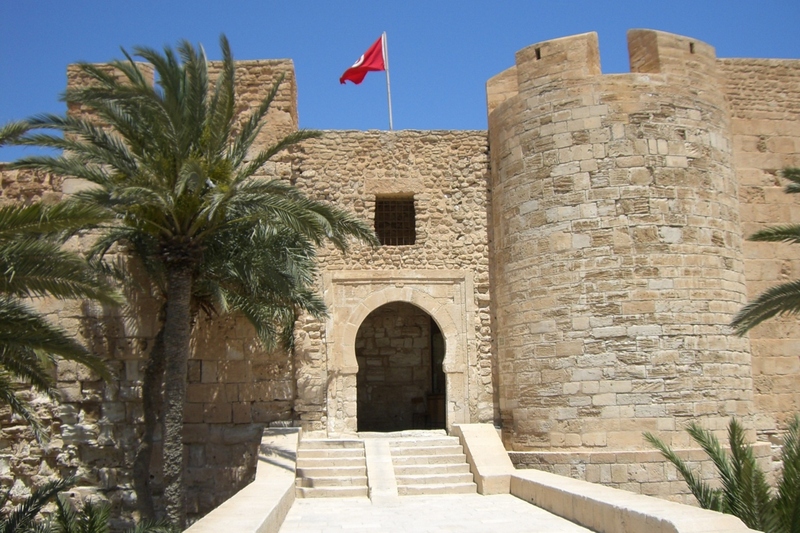 If you're here during the summer months there is a weekly cultural show complete with folk dancing and camel parades. 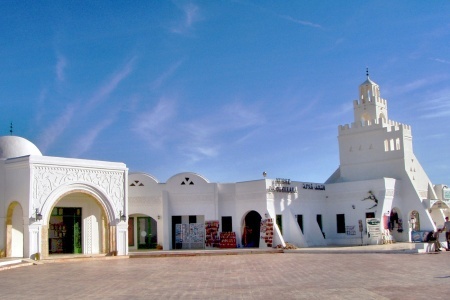 The village of Guellala is Djerba's main pottery centre, and the main street is lined with ceramic workshops displaying their wares to visitors. 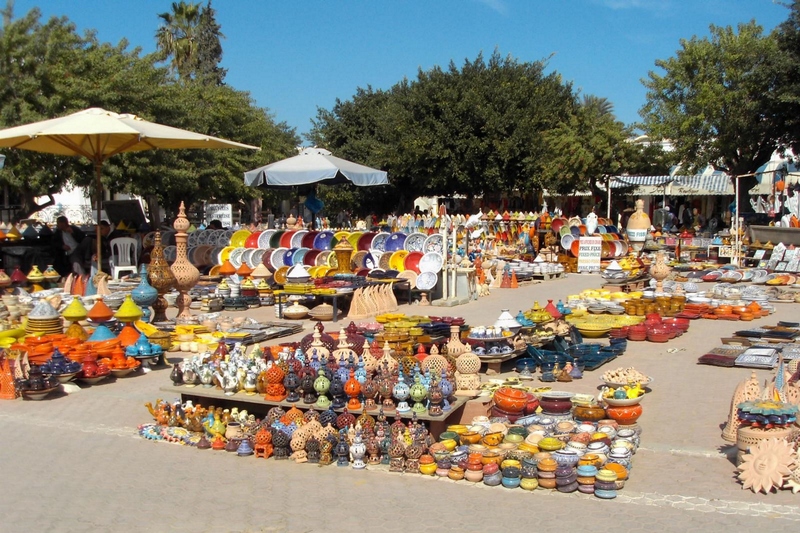 It's said there are approximately 450 local potters living here, making it well worth visiting at least one workshop to get a feel for this ancient craft. 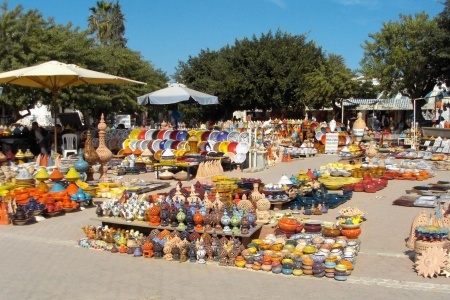 The traditional Guellala ceramic products are unglazed storage jars, modelled on ancient amphora, but these days there is also a predominance of brightly painted pottery. 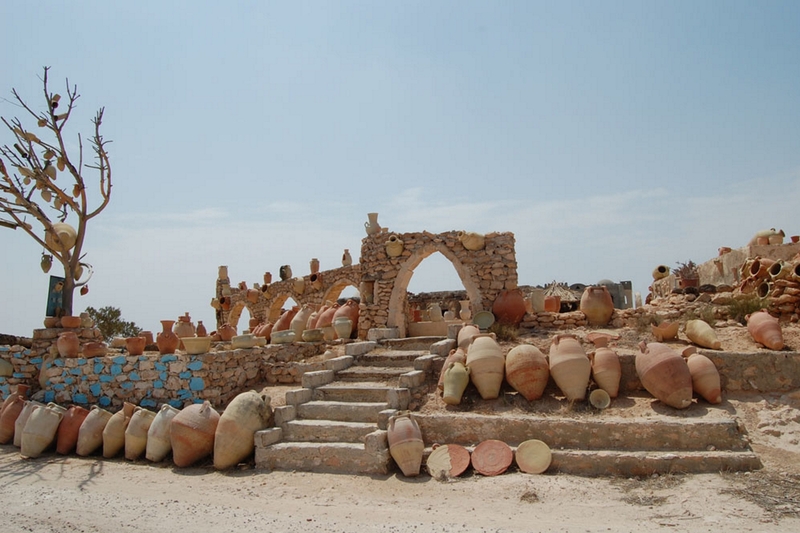 The clay used by the potters is excavated from shafts up to 80 m deep, dried out for two or three days and then broken up and mixed with water (fresh water for red pottery, salt water for white). The pottery is left to dry for 60 days before being fired for four days in semi-underground kilns, in which it remains for another ten days to cool gradually. 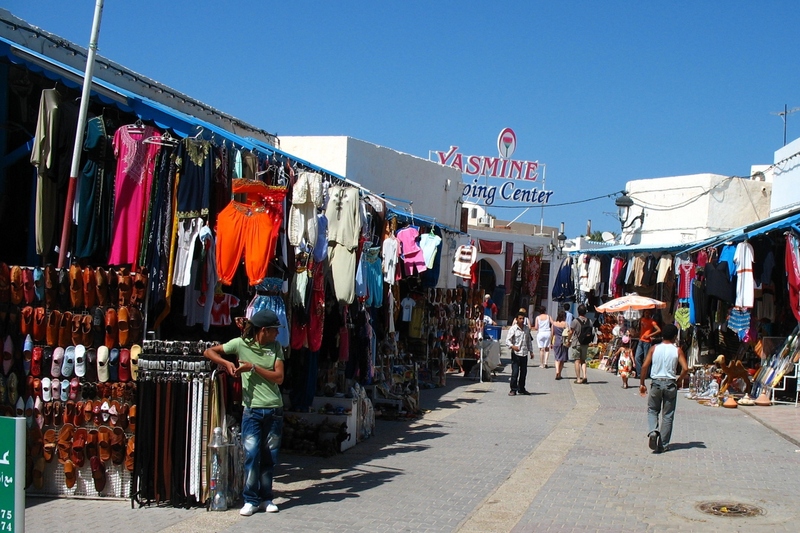 If you're in the mood for some shopping while on Djerba this is the place to go. Djerba's most popular beach is Plage Sidi Maharès - the perfect place to relax and catch some sun after all that souk strolling and ceramic shopping. It's the oldest resort beach on the island and hence the most developed, with restaurants and cafés running along its length and lots of deck chairs, sun loungers and umbrella shades for rent. The sandy shore extends for approximately 13 km up to Ras Tourgueness where there is a quaintly old-fashioned lighthouse. 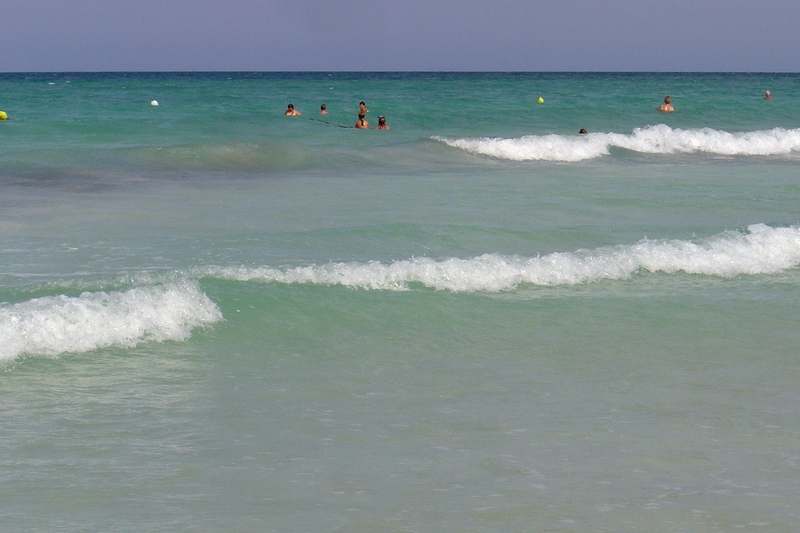 This 5 km stretch of white sand beach is located between Aghir and Ras Lalla Hadria. 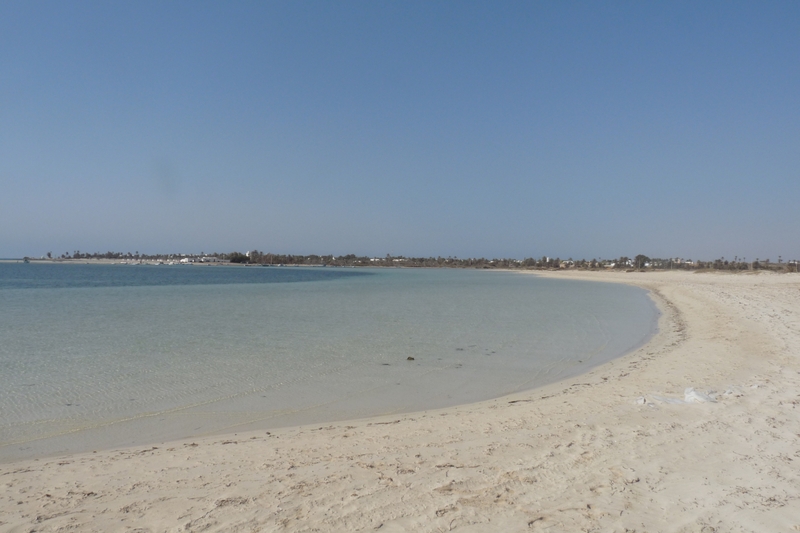 It's a lovely place to spend the day, with a less developed shoreline than Plage Sidi Maharès but still with all the services you'd need. 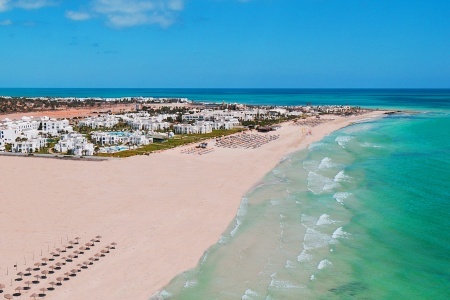 Umbrellas, deckchairs and sun loungers can all be hired, and there are plenty of restaurants and cafés for when you're feeling peckish.